Apart from the fact that scaling has a calming effect on the physicians in Denmark, it has been found that premature babies who had their hexagonal octopus in their first days improved their breathing, had a good oxygen level in the blood, ie their overall health status improved. Nedonoščad of the first days of life is most often carried out in the incubator, with the arms wrapped around the arms and dying. Two lovers of ironing Nataša Gidija from Zagreb and Željka Hojsak from Varaždin with the technical support of Martina Radovic connected via Facebook, established a group of CRO pigeons for Palčići, which can be found on the link https://www.facebook.com/groups/151334228785119/ you go to action. The group today has more than a 3500 member. First they sent a mail to the Ministry of Health asking if they would support them to make and deliver the octopus for their patients free of charge to all interested hospitals. They forwarded mail to hospitals and so the hospitals began to appear. Today, they supply 23 hospitals throughout Croatia. Women all over Croatia have decided to join this praise of a valuable action. 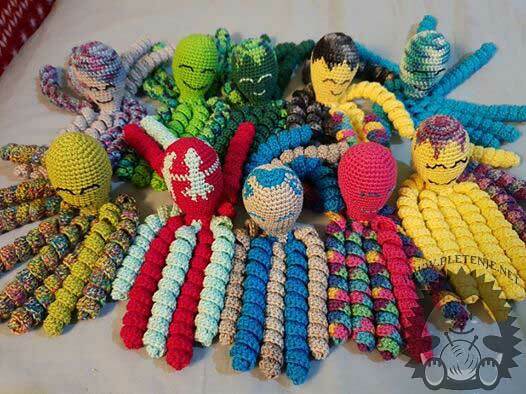 So far, over 100 women have been involved in making hobbies, and active members who have been continually making octopus since the first day have 30. There are accurate and detailed instructions for making octopus that must be respected. 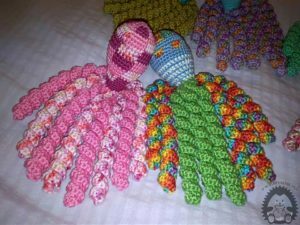 The octopuses are ten inches high, made of a cotton thread with an antiallergic filler and stretchable arms. The cracks imitate the umbilical cord and provide comfort and support. The hospital is sterilized. Finished octopus is sent to Nataša and Zeljko who then examine them. Only the ones that are good and meet the standards of the opera are rented in the dryer and then sent to the addresses of the hospitals that they are looking for. 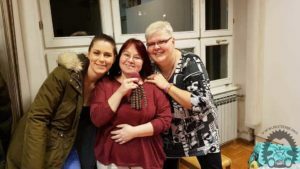 In order to save as much as postage on the hospital in Zagreb, Nataša carries himself in person. Anyone who wants can join in making hobbies, donating materials or spreading news about making them. Money was also good for buying octopus supplies and paying for postal items.